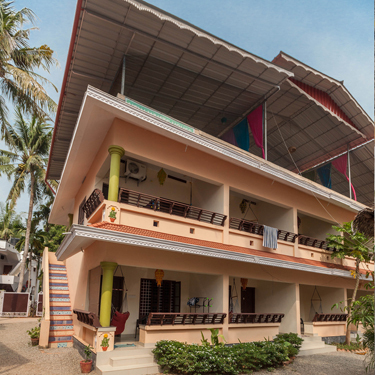 We are offering the perfect base where you can enjoy the beauty of Varkala’s cliff and its beaches. 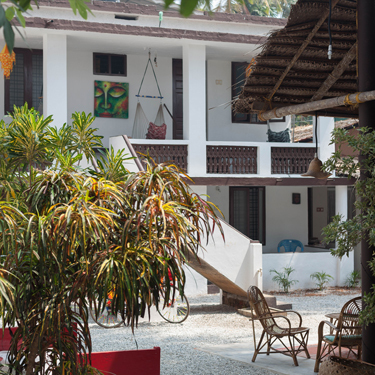 We make the difference between an ordinary visit to Varkala and a one of a kind vacation experience. You will feel right at home from the point of check-in. Stay with us – you deserve it! Mad about Coco is located on the property of the New White House. 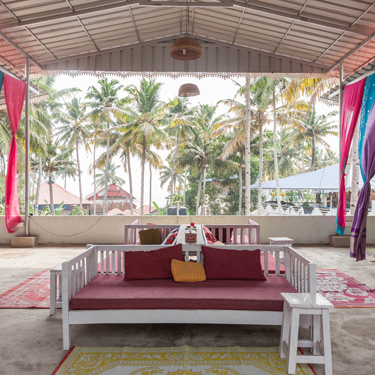 It's a Beach & Yoga Resort in the middle of Varkala Cliff, Kerala. It's the perfect place for having a relaxed holiday close to the beach, restaurants & shops at the cliff. 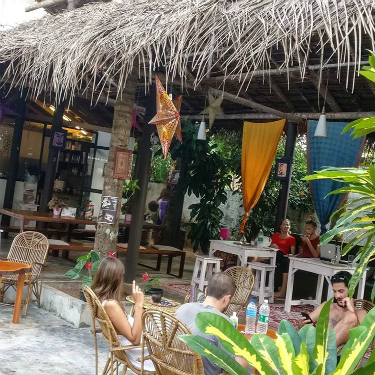 The Mad About Coco Cafe is a cosy place to hang out the whole day. 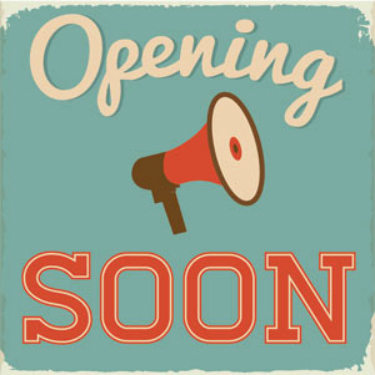 It is open for everyone from 8am to 5pm. 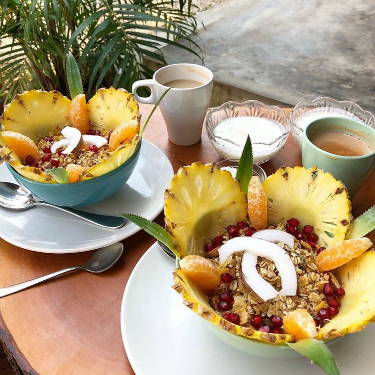 Here we are serving you every morning your delicious breakfast. Join us also for our coffee specialties, lunch and other small snacks. Enjoy healthy food in a very relaxed atmosphere with great vibes. Practice Yoga on our rooftop while enjoying the beautiful view. 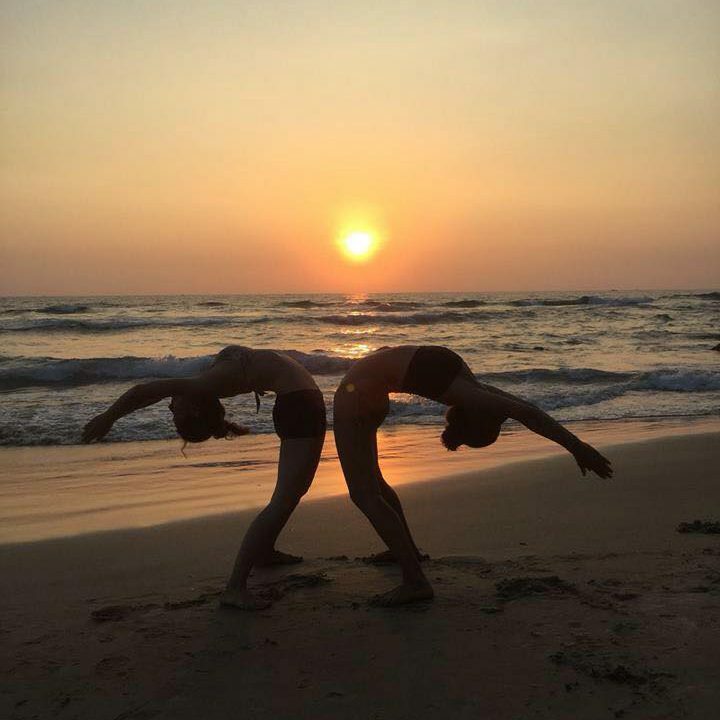 During the main season, starting from October until end of March, we are offering daily drop-in Hatha-Yoga classes with our Yoga teacher Shyla. 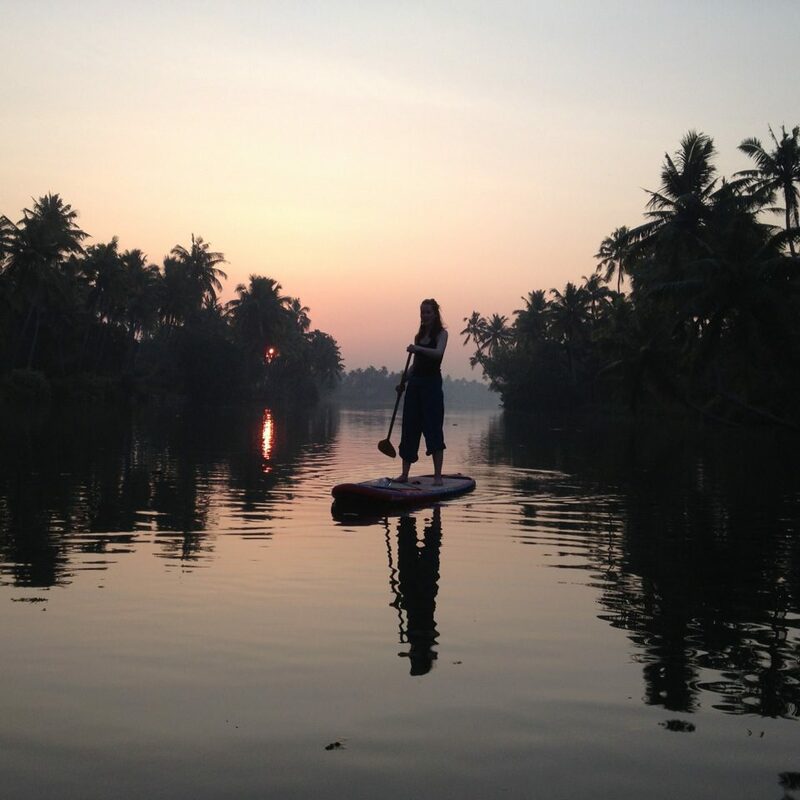 Come and join Stand Up Paddling on the Backwaters around the Golden Island, just 25mins away from Varkala. We offer sunrise and sunset trips. We also offer trekking tours to the hill station Ponmudi and to the Meenmutty waterfall and if you still want more we can combine your trip with a visit to the Elephant Rehab Center and more. With the property of the Old White House and our newly built Café, we completed our resort. The old White House is one of the first guesthouses at the cliff. After a full make over end of 2016 the house shines in new splendor. We are offering yummy, healthy and also typical south indian breakfast varieties, lunch and snacks. Our local coffee specialties are prepared with a french press. We are buying almost all items daily fresh to serve you the best quality. For group bookings we offer food packages from breakfast to full board. The lounge is our shared living room in the heart of Mad about Coco. 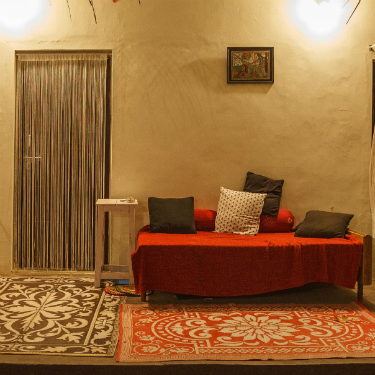 It's our hub where everyone is coming to relax or to chat with other guests. Here you’ll always get unlimited water refills and you will find a water kettle and cups here as well should you wish to make your own tea or coffee before and after our Café is closed. 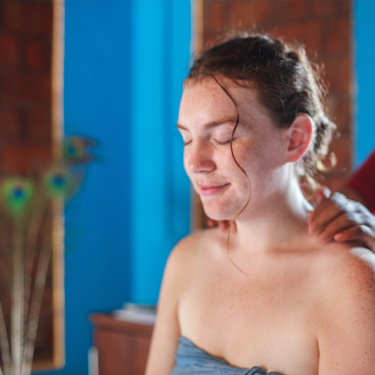 Yoga teachers are welcome to run their own Yoga Retreats, Workshops or Teacher Training Courses on our premises. Please contact us to get further information about our booking conditions for groups. 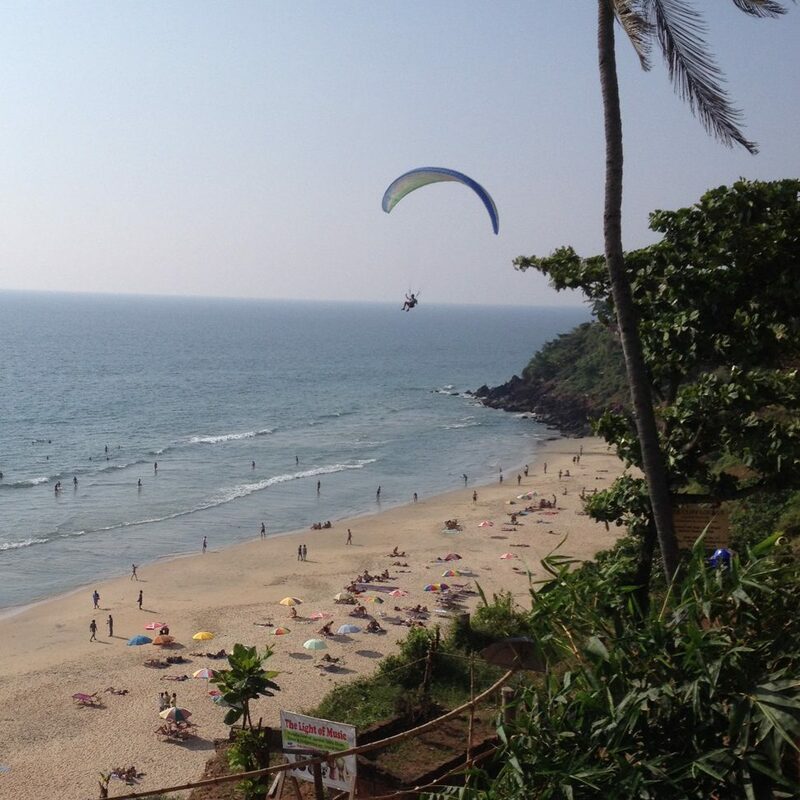 There are a few nice beaches around Varkala. The closest is just a three minutes walk away from our house and it's perfect for sunbathing and swimming. It's the main beach, called Papanasam Beach. Still close-by after walking along the cliff up north you'll find the Black Beach and Odayam Beach and last but not least about 5km away there is Edava Beach, which is a nice place to surf. The completely renovated family suites next to the Old White House will be offered to you from October 2018. The suites are spacious and equipped with three beds and therefore perfect for families and friends. 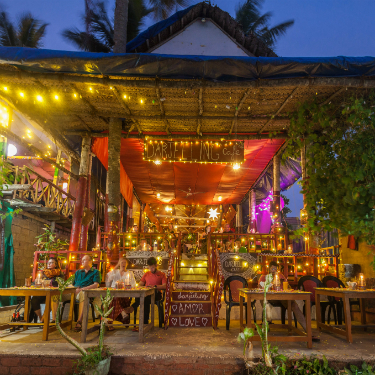 The Darjeeling Cafe is our favorite restaurant at the cliff with a stunning view over the ocean, super delicious food and great atmosphere. Our businesses are joined and as our guests you’ll get special deals and free wifi here. We arrange birthday parties and dinner buffets here for our group bookings. From our huge covered rooftop of the New White House you can see the ocean through the palms. 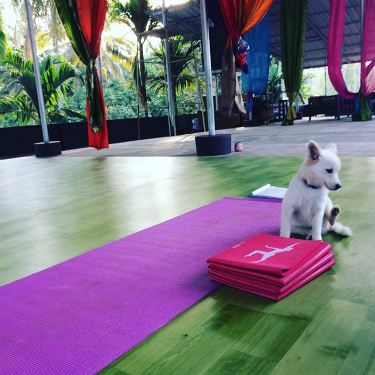 Here you'll find our huge Yoga space where you can join our Yoga classes with Shyla or you can rent it to run your own Yoga Retreats. 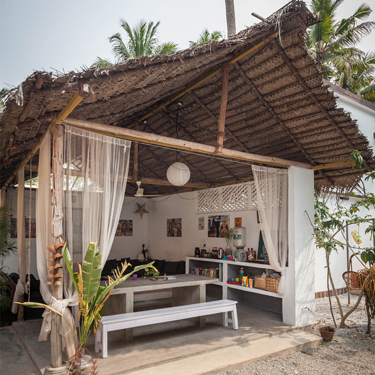 Furthermore you’ll find a cosy lounge with daybeds to relax and read your book while enjoying a nice breeze. We are arranging Ayurveda treatments with AyurSoul who are offering customized treatment packages in a beautiful and relaxed atmosphere. Ask us to make appointments with a doctor for you. 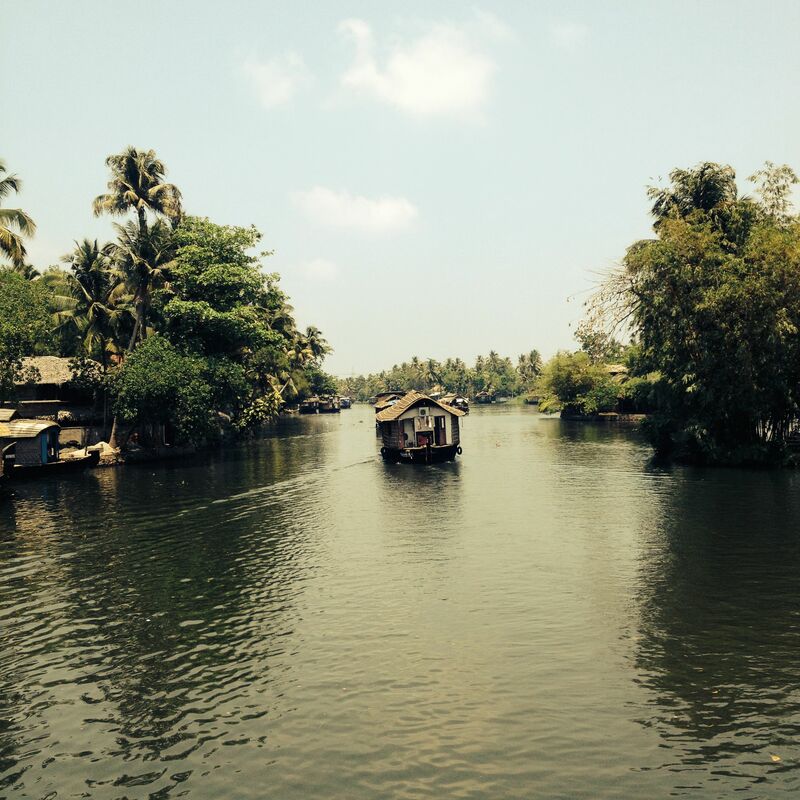 One of the must-do's is exploring the backwaters. We help you to find the perfect trip to your liking: from a one-hour country-boat trip in Poovar, around the Golden Island close to Varkala or at Munroe Island near Kollam, up to 24-hrs houseboat trips with an overnight stay incl. full board for up to 12 people on the Vembanad Lake starting from Allepey.